-- Donated school supplies help children to succeed in school and help families use their limited income for necessities like food and housing. -- In the U.S., teachers spend hundreds of dollars per year out of their own pockets to provide school supplies for their students that families otherwise wouldn't be able to afford. -- Here in the Puget Sound region, the need is great. Thanks to Bartell's customers like you, in 2017 we were able to serve 70,000 students. 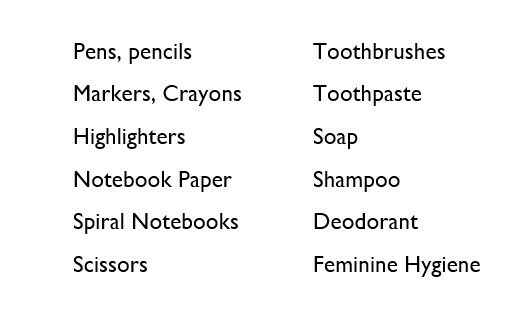 You can also donate at any Bartell location by looking for School Tools tags on participating items to purchase and place in the red donation bin. Or by purchasing a $5 or $10 School Tools Kit that will be used for the most-needed school supplies and personal care items.